Tonight I started in my Breaking the Waves hat. 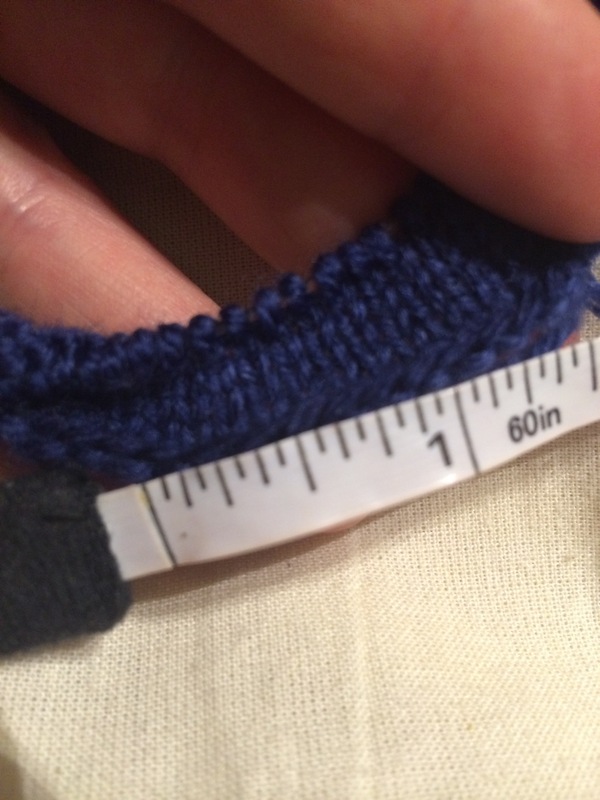 Using (what I thought were) the recommended needle size, US 1, I got gauge of 7 stitches per inch. My head is around 22″ in circumference, so I’d need about 154 stitches. However, the pattern calls for a multiple of 8, so I started with 152. After not even an inch, my hands aren’t happy, and it’s really slow going. So I’m going to see what kind of gauge I get with size 3 or so. 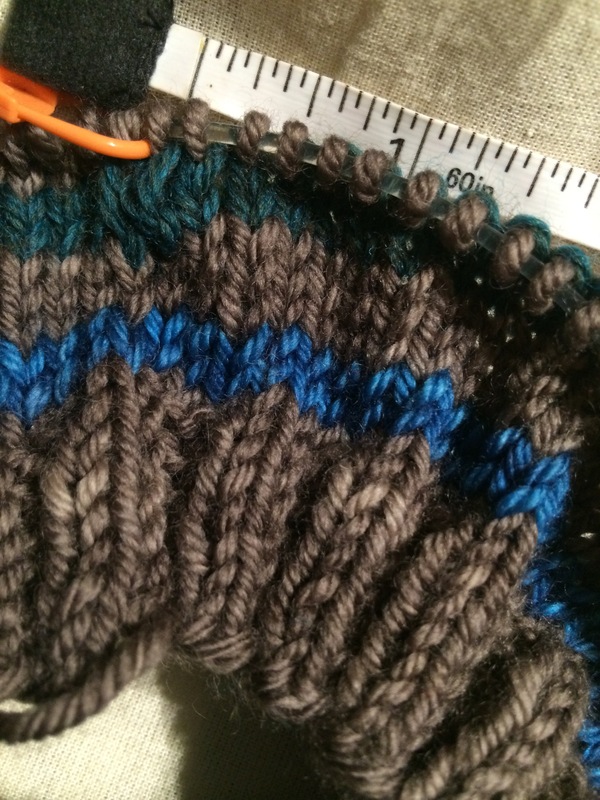 In other hat news, I needed a project to knit on the go today, so I grabbed some worsted weight and started a Turn A Square. This is much faster! I’m not giving up in the colorwork hat, though! Back to work! I usually subtract 2-3″ from my head circumference before figuring out my CO. I like a snug fit as yarn can relax after a soaking and get loose. Good point! With the colorwork though, I don’t want to underestimate by too much or it’ll be too tight. Hmmm this is taking a lot of thought!